I received my Bachelor of Electrical Engineering and Information Technologies in in 2010, followed by a Master’s degree in Bioinformatics in 2011 in Skopje, Macedonia. For my PhD studies I moved to Ljubljana, Slovenia, where I started working at the Department of Knowledge Technologies at the Jožef Stefan Institute. For my thesis I developed methods for scientific knowledge discovery by modeling and design of deterministic and stochastic dynamical biological systems. Since 2016 I work as a research associate at the Jožef Stefan Institute. 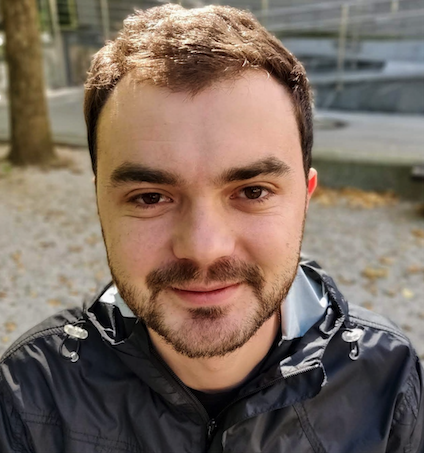 In 2018 I joined the Saez-Rodriguez group at the Heidelberg University, as a postdoctoral researcher, focusing on data analysis and modeling using single cell data. My research interests are at the intersection of systems sciences and machine learning. I am interested in developing methods for learning mathematical models of dynamical systems from knowledge and observations. I have a strong background in machine learning and experience in computational systems biology. I am experienced in modeling and design of dynamical systems and their application to problems coming from the domains of systems and synthetic biology. I am currently interested in analyzing single cell data. I am keen to understand the different patterns of expression and the underlying dynamical mechanisms, that enable the emergence of such behavior.